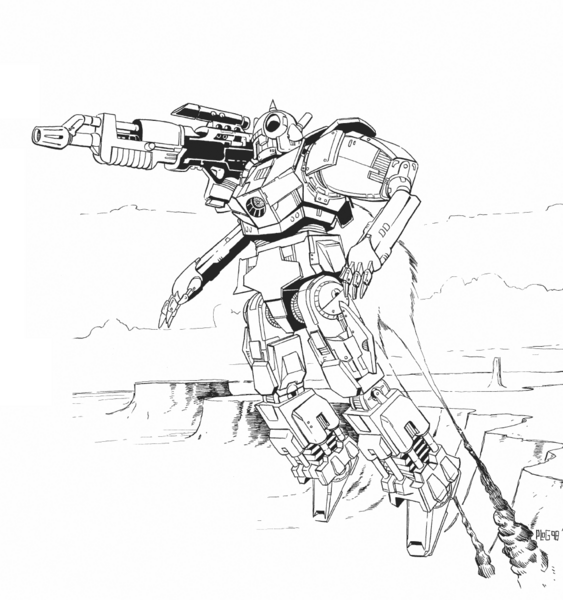 In my previous “vs.” article, I compared two second line BattleMechs, the Rabid Coyote and the Ursus. You can find that article here if you would like to read my analysis on the match-up. 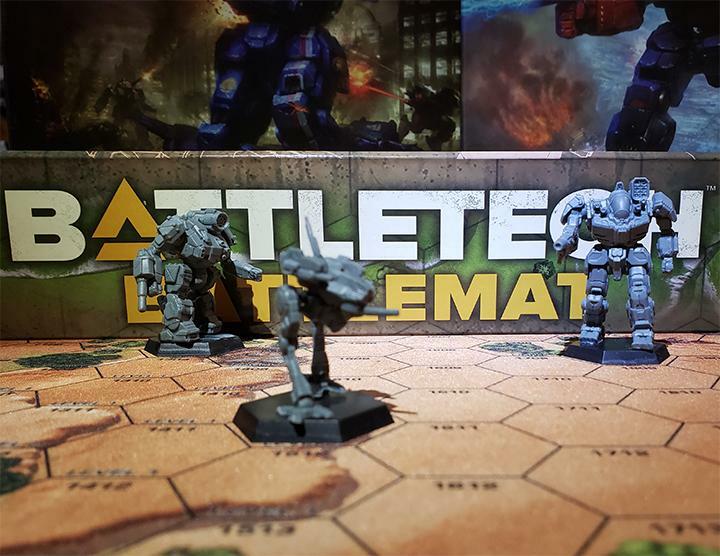 In this installment, we again take a look at a pair of second line Clan BattleMechs, but these two are very different from our previous subjects. When thinking about Light `Mechs, two images usually come to mind, at least for me. The first is of the stealth loner type scout, bravely attempting to get as close to the enemy as possible, even going behind enemy lines, in order to secure precious intel about troop movements, supply lines, and personnel locations. This lone ranger scout seeks out the weaknesses of the enemy and exploits them with brutal efficiency. The other type of scout that comes to mind is the kind that searches and destroys vulnerable enemy targets in a small group. These scouts rely on gang-up tactics and misdirection to get the job done, working in highly coordinated teams to secure strategic kills, usually performing specific hit & run style strikes meant to pinpoint a specific target. 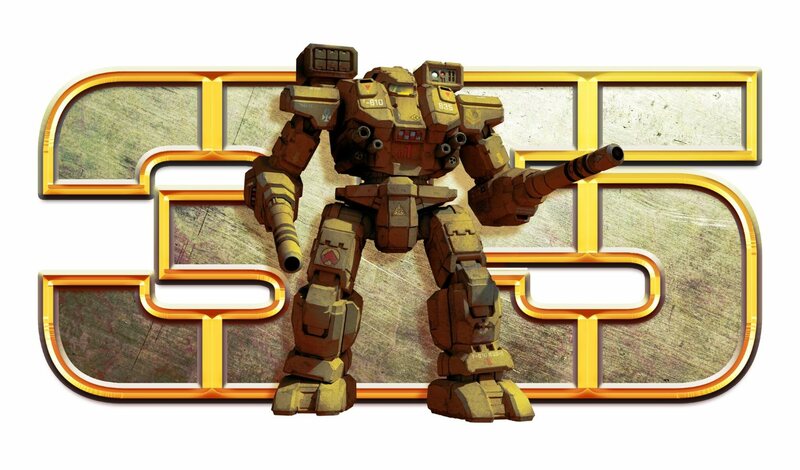 When juxtaposing these two types of BattleMech scouts, it is not hard to literally find the names of two `Mechs that not only resemble the concepts, they are named for them. The two BattleMechs we will look at in the context of these roles are the Pack Hunter and the Solitaire. Perhaps not as well known or loved as other Clan favorites like the Dasher (Fire Moth) or Koshi (Mist Lynx), these second line designs come from an era when the Clans were still learning how to co-exist their Inner Sphere neighbors, adapting their toumans to be able to handle the myriad tactics that the Inner Sphere employs to get the job done no matter what. But before we compare and contrast these Light hunting machines, let’s get to know each machine a little better. Just out for a morning patrol and…holy crap, what’s that thing?! The Pack Hunter would likely be considered an impressive effort regardless of the circumstances of its design and production. 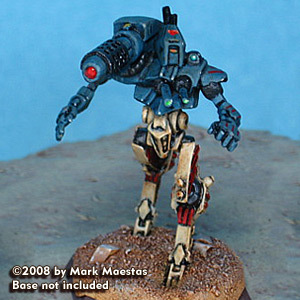 The first collaboration between Clan Wolf-in-Exile and their Arc Royal hosts, the Kell Hounds, the Pack Hunter was meant to be a test best for production capabilities, enabling the Wolves-in-Exile to work out any major problems with Clan technology before moving on to an OmniMech design. The project was a success, with the first production units rolling off the lines in 3059. Matching superior speed and mobility with a single, hard-hitting weapon system, the Pack Hunter exists on a simple design philosophy. That being that light, fast, hard to hit BattleMechs can succeed in engagements with both Inner Sphere and Clan forces. The design faced very few notable production problems and hit the field very quickly after its development period. 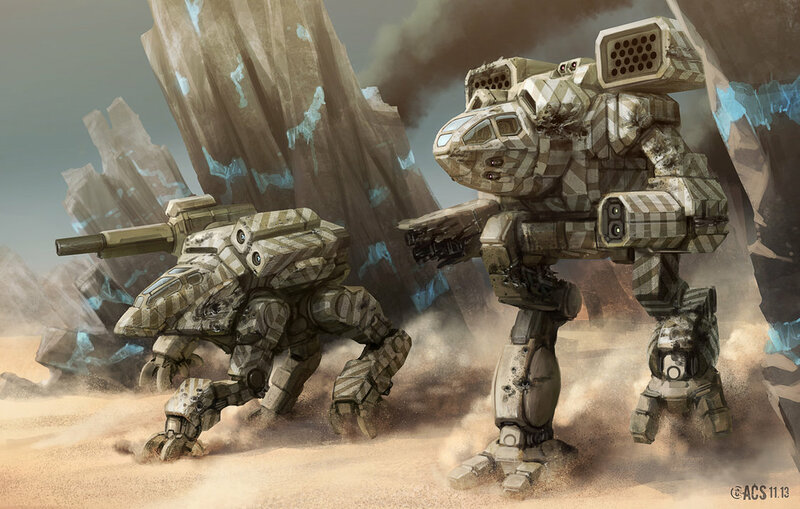 During testing, it was found that as little as two Pack Hunters could demonstrate a clear danger to even a massive Dire Wolf, and the BattleMech is usually found deployed in teams of two or more. Even under the Clans’ ritual rules of zellbrigen, the Pack Hunter is able to team up with its mate to take on a heavier opponent without the dishonor of breaking the traditional one-on-one combat doctrine. Working “around the rules” in this fashion had led to many Clan opponents wishing they had not agreed to the terms of the engagement. A simple, efficient, and long-lasting design, the Pack Hunter has seen at least three variants put into production as well as receiving a second incarnation, the Pack Hunter II, during the Jihad and into the Republic era. The Pack Hunter exemplifies simplicity in its design and equipment, all packed into a tidy 30 ton chassis. 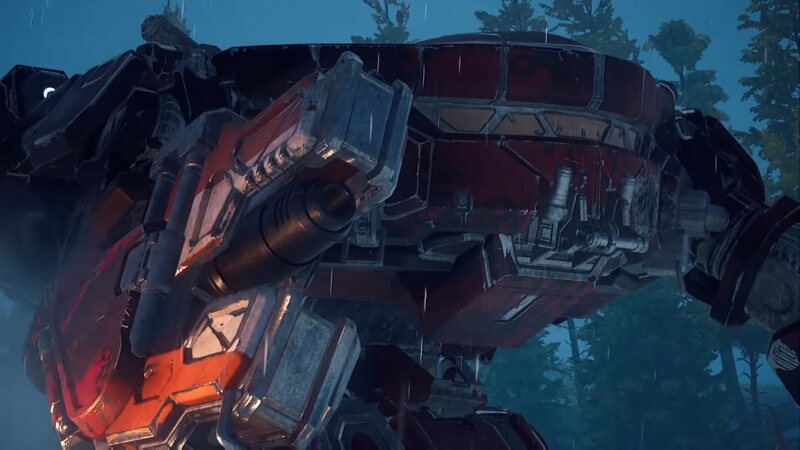 Armed with only a single Clan Extended-Range Particle Projection Cannon, mounted in its right torso, the `Mech is built on an Endo Steel chassis and protected by four tons of standard armor. Its standard engine allows the Pack Hunter to move at a stop speed of 119 kph and adds to the BattleMech’s durability and affordability. Rounding out its equipment are enough jump jets to jump 210 meters. Even without a complication array of weapons and equipment, the Pack Hunter‘s extreme efficiency has been proven on the battlefield since day one. 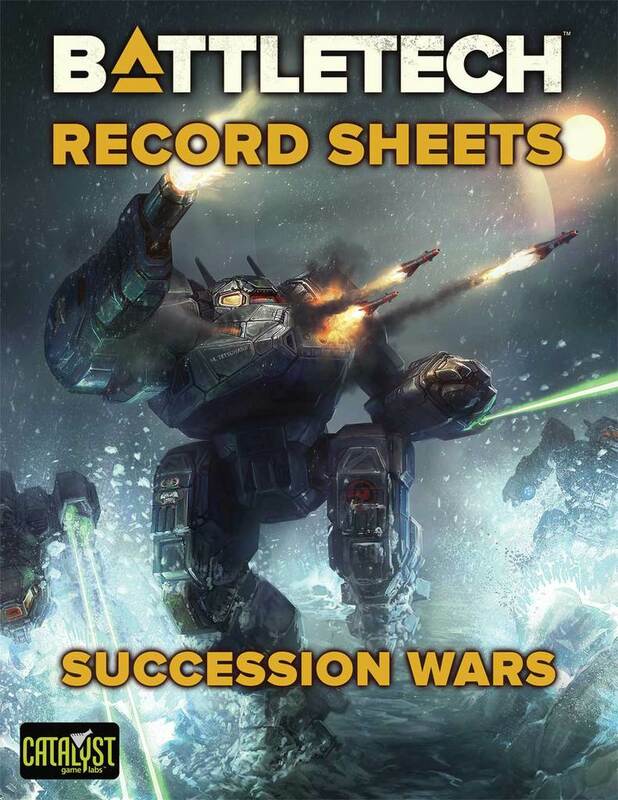 Its frequent deployment in pairs is one of the most interesting developments with this BattleMech, as it heralded a slight shift in the Clans’ usually strict adherence to single combat. Hey, is that a new Pack Hunter? Thor and Odin! No blast that large comes from a Pack Hunter! That this BattleMech exists might be a bit of a small marvel in itself. 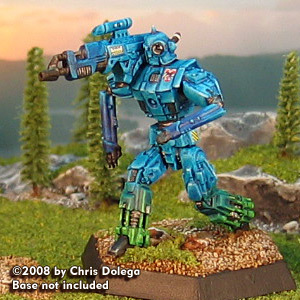 The characteristically austere Clan Diamond Shark is not known for creating a BattleMech that literally takes every opportunity possible to make itself more expensive to produce. Yet, the Solitaire still rolled off the production lines and to roaring success to boot. This blazing fast light BattleMech has few equals in terms of mobility, despite its lack of jump jets. Light Mech pilots in both Clan Diamond Shark and Clan Ghost Bear scrambled and competed to get a hold of any <em>Solitaire</em> that became available as soon as theMech was released. Tactically, the Solitaire is deployed as a solo killer, stalking ahead of its unit to pick off any opponent that has strayed just a bit out of formation. With the firepower to threaten even most assault BattleMechs, especially when attacking from behind the larger machines, the Solitaire is highly effective when used as a backstabber and an assassin. When the Solitaire entered production in 3064, the vast majority of units went to Clan Diamond Shark’s Spina Galaxies. Shortly after that, large numbers of Solitaires began to appear in second line units in the Ghost Bear Dominion. Apparently part of a large trade deal, linked either to the Diamond Shark’s help of the Ghost Bear’s earlier relocation to the Inner Sphere or for some unknown future consideration. Clans Cloud Cobra and Ice Hellion also showed interest in the BattleMech, but after the Wars of Reaving it is doubtful that the design would be found in the Clan Homeworlds in any significant numbers. Coming in at 25 tons, the spry Solitaire would not have been near as impressive of a machine if Clan Diamond Shark had cut any expense in its production. Based on an Endo Steel chassis and protected by four and a half tons of Ferro-Fibrous armor, the Solitaire is just about as sturdy and as protected as a Mech of its size can be. The real defensive piece is its Model SF-25 XL engine that allows a top speed of 162 kph. However, it is the chosen armaments for this BattleMech that make it stand out. Boasting one Heavy Large Laser, two Heavy Medium Lasers, and one Heavy Small Laser, the <em>Solitaire</em> is nearly unmatched in its weight class in terms of pure damage potential. The limiting factor for thisMech lies in its ten double heat sinks, making an Alpha Strike attack quite a toasty proposition. Able to hit hard and fade away quickly enough to cool down, the Solitaire is one dangerous machine in the right hands. To date, the Solitaire has only one variant, which drops one of the Heavy Medium Lasers to add a MASC system. If the Solitaire is not fast enough for you, the Solitaire 2 might be the `Mech for you. As with the previous contest, these two BattleMechs represent different takes on fulfilling the same battlefield role. The idea of these two `Mechs meeting on the field is one that makes me scratch my head a little. Strictly speaking, I would imagine that Pack Hunter and Solitaire pilots would do their best to avoid one another on the battlefield. Each chassis is better designed to hunt down heavier BattleMechs than to hunt one another. Click the picture to visit Iron Wind Metals’ Pack Hunter page. But for argument sake, let’s take a stab at figuring out some possibilities should the two meet on the field and have no choice but to engage one another. For the purposes of this comparison, we will explore a 1v1 scenario and dismiss that Pack Hunters usually show up in pairs (though I will devote a few sentences to that scenario a little later). Terrain may or may not be a factor in this match up. 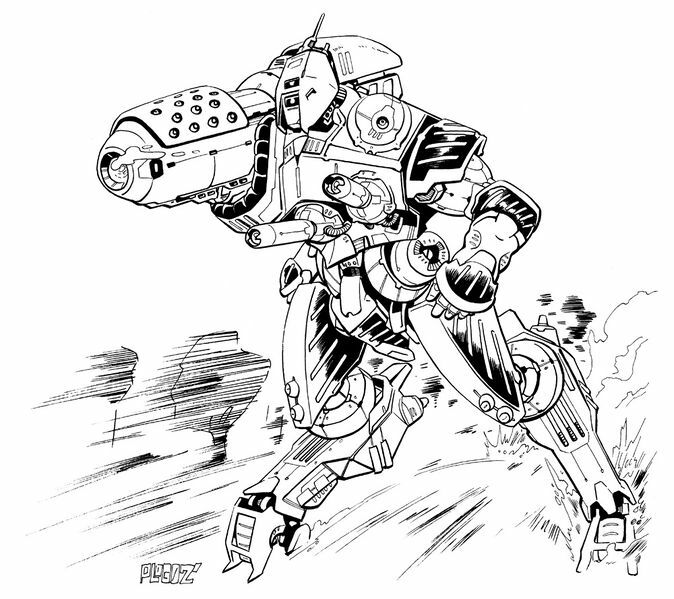 While the Pack Hunter‘s jump jets give it a slight edge in being able to ignore certain terrain types, the sheer speed of the Solitaire helps the lighter `Mech keep its own advantage, as long as the terrain is not wide open. So the first part of the engagement will be advantage Pack Hunter simply because it will be able to open fire probably one turn earlier than the Solitaire, thanks to its ERPPC. Any ERPPC hit to the Solitaire‘s arms will rip it off clean and even lend some splash damage to the corresponding torso. A leg hit will not take out the Solitaire by itself, but it could help to cripple the lighter `Mech if a critical hit is scored. Assuming the Solitaire can survive long enough to get into long range with its Heavy Large Laser, the battle gets a bit more interesting. Any hit from the Solitaire‘s main weapon will outright destroy any of the Pack Hunter‘s locations, save the Center Torso. Also, because the Pack Hunter only has a single weapon, if that happens to be to the Right Torso (or even the Right Arm in some cases), then the Pack Hunter might as well call it a day. Click the picture to visit Iron Wind Metals’ Solitaire page. From there it gets to be a worse proposition for the Pack Hunter, as the Solitaire can use its superior speed to further close the distance to bring its Heavy Medium Lasers to bear. At that point, the multiple hit capability of the Solitaire begins to exact a heavy toll on the Pack Hunter‘s chanced for survival. One thing to point out here is that the Pack Hunter will benefit from better To-Hit numbers in almost every case, down to a range of 3 hexes. This is a good advantage and should not be overlooked. While it should also not be counted upon to make a huge difference, the advantage exists nonetheless. So in most 1v1 situations, barring a lucky hit, I think I’m going to have to give the contest to the Solitaire. The speed advantage of the lighter `Mech does a lot to mitigate the range disparity between the two, and the Solitaire also boasts slightly more armor protection, which can make the difference when taking leg hits, thus keeping mobile and in the fight. While the Pack Hunter is more durable thanks to its standard Engine, losing its one weapon system is in most cases just as devastating as being destroyed. Side Note: I promised I would address this, so here it is. I’ll have to give the engagement to the Pack Hunter if there are two of them. It’s simple a reorganization of the tactical situation. In a 1v1, the Pack Hunter is playing the Solitaire‘s game. Conversely, the 1v2 situation is more than just being simply outnumbered. It is a changing of the scope of the battlefield in a way that brings the Solitaire in the Pack Hunters‘ arena. A clever Solitaire pilot might still come out on top of a 1v2 scenario, but the value of two `Mechs working together is most often greater than the simple sum of the whole. Both of these BattleMechs are amazing at what they do. They’re not completely dissimilar, but they’re also not really the same. Side by side, I would personally take the Solitaire, but I will caveat myself by reminding you that I’m a Ghost Bear player primarily. I have nothing against the Pack Hunter, however, and would not feel cheated or under strength if I had one or two in a Star. Raw BV aside, either situation can easily win back double or more its points. As far as deployability, the Pack Hunter and its variants, including the Pack Hunter II, has found its way not only into the forces of Clan Wolf-in-Exile and the Kell Hounds, but also into pretty much every other Clan, Mercenary forces, the Republic, and several Houses. Widespread and valued for its capabilities, the Pack Hunter will continue to be a familiar sight on the battlefield for a long time to come. Conversely, the Solitaire has experienced a rather limited breadth of varied deployment, seen only in the toumans of Clans Ghost Bear and Diamond Shark/Sea Fox even into the 3140s. I do not believe that this means that other military organizations have found fault in the design. 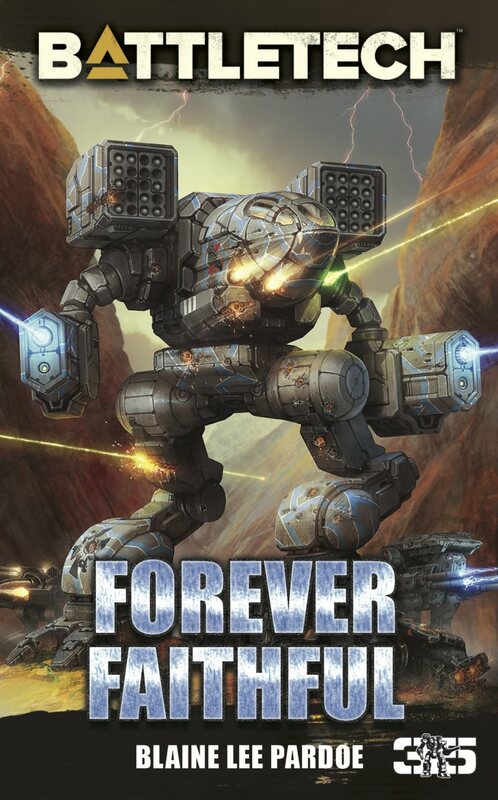 Instead, I believe it is reflective of Clan Sea Fox’s continued efforts to keep the design as exclusive as possible, sharing the expensive BattleMech only with its Ghost Bear allies. 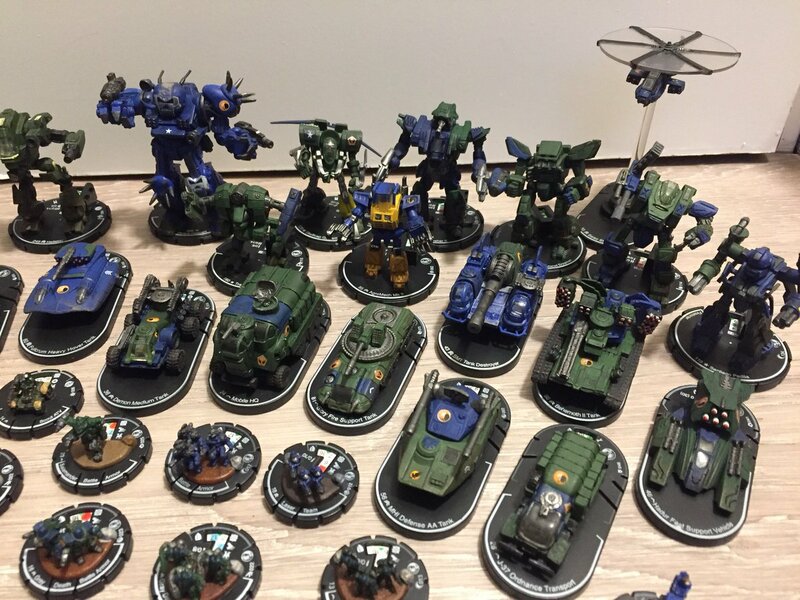 Want to see me continue to compare BattleMechs? Suggest a new pairing in the comments, and if strikes my fancy I just might write it! This entry was posted in Miniatures, Reviews and tagged Alpha Strike, BattleTech, Clan Diamond Shark, Clan Sea Fox, Clan Wolf-in-Exile, IronWind Metals, Pack Hunter, Solitaire on 2016/09/11 by Dave Martin.